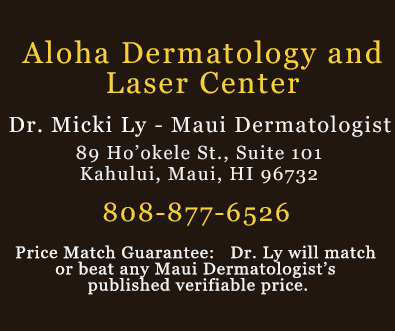 LHE Hair Removal on Maui from Dr. Micki Ly M. D.
from Dr. Micki Ly M. D.
Unwanted or excessive hair has been a burden since ancient times. 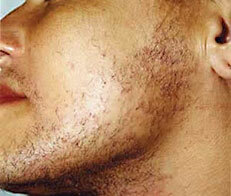 Today, approximately 80 percent of men and women aged 16 to 60 remove face and body hair regularly. 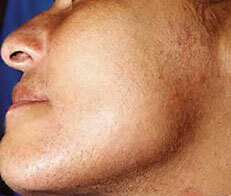 Aloha Dermatology offers LHE, the next generation in light based hair removal. Its low energy levels create an ultra safe virtually pain free treatment that doesn’t require any preparation or skin cooling It is also 10 times faster and a more comfortable treatment then laser hair removal. To bring about successful long term hair removal, via selective photothermolysis, it is necessary to thermally damage the structures in the hair root responsible for hair growth, namely the papilla (bulb) and bulge. Thermal damage to the bulb and bulge occurs at approximately 74°C. The photothermal destruction of these two elements serves to prevent or significantly delay future hair growth. To raise the temperature inside the follicle, LHE uses the hair shaft as a conduit. Melanin in the hair shaft, as the targeted chromophore, absorbs the light which is then converted to heat inside the follicle. Normally, it requires a very intense light source applied to the skin to reach a sufficient temperature inside the follicle. LHE, however, overcomes this and significantly lowers the fluence by combining the light with a directed heat process.